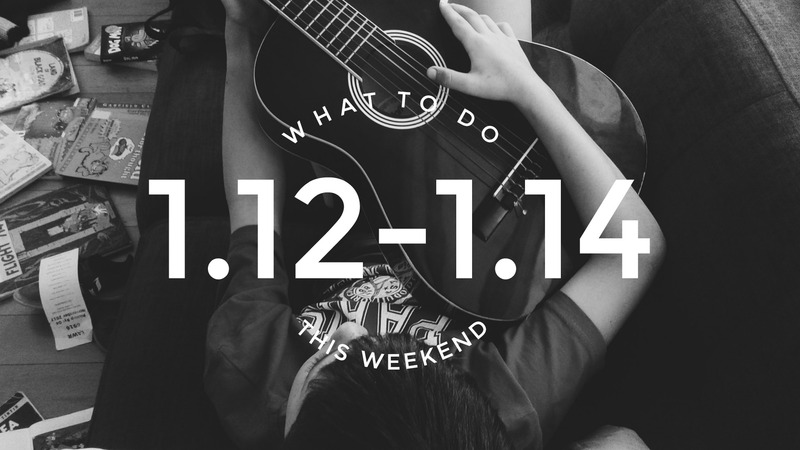 I can count the many different ways that I would love to spend a snowy, cold January weekend. And trust me when I say, that normally that would consist of a couch, cozy blanket, good book , and a hot drink. 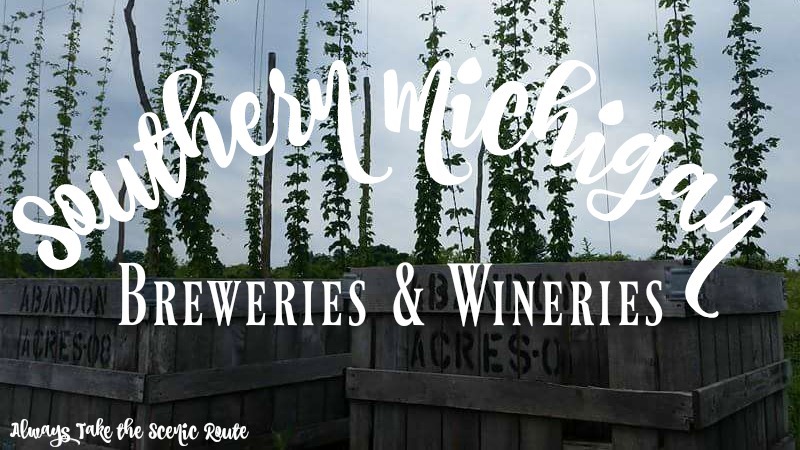 So, I completely shocked myself when I agreed to spend a day braving the cold and snow to explore some of southern Michigan’s best breweries and wineries. 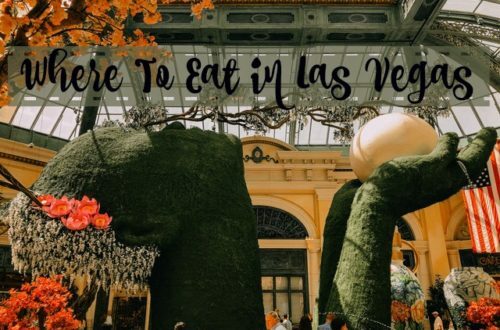 We kept this trip to only a day due to the weather, but believe me when spring hits, I’ll be revisiting the places I saw and checking out the ones I missed. Tapistry Brewery actually ended up being our second stop of the day, however, I’ll save that Indiana brewery for another post. 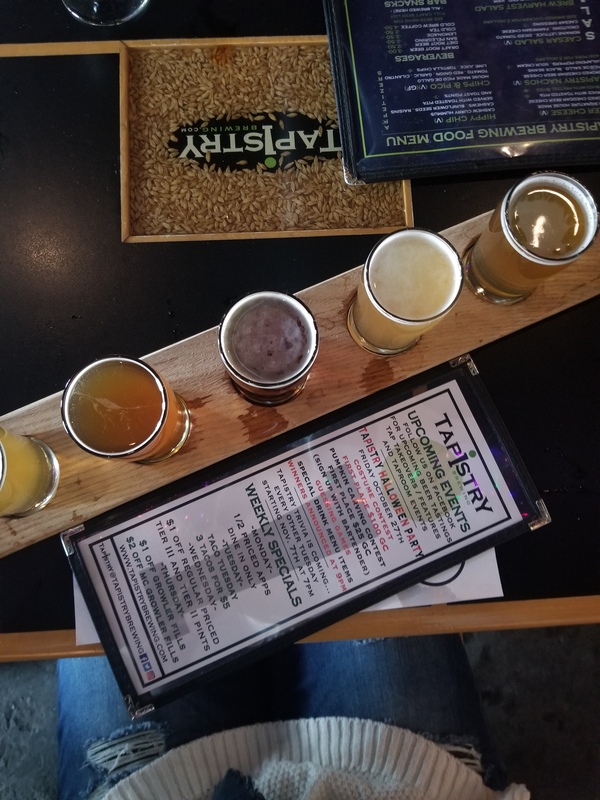 Tapistry is located just 1 mile from Lake Michigan in Bridgman, MI and features 20 amazing taps as well as some pretty delicious looking menu items. 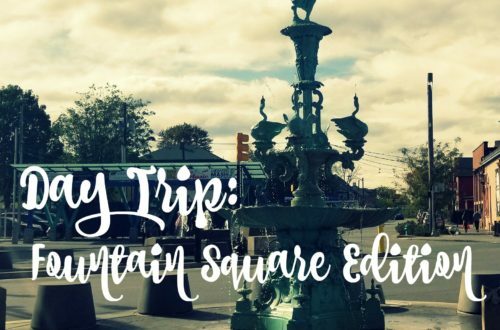 I had unfortunately eaten at the first top, so I didn’t get to sample the fares, but I will definitely be coming back to try their Wisconsin Dip Sandwich or Tapistry Nachos…okay, okay; and the HIPPY CHIP too! With an owner and co-owner with motto’s like “never say never” and “life is short, live it” this place had a fun and comfortable vibe that I wish I could find closer to home. With advertisements of live music, beer trails, and plenty of local breweries located right in the same area, Tapistry’s seems like the perfect place to check out. They have a 3 tiers beer menu, which for still novice craft drinker like myself, made it easy to read and select beers for my flight. I opted for beers from Tier 3, because like I said; novice. But what I did have, was pretty amazing. I tried out their Radler Hansel that ended up being my favorite with some pretty amazing ginger notes. I had to try out their session Coastal Crusher because it’s my dad’s favorite and ended up getting a growler to go of this. They had a lot of variety to choice from, so this is a must stop for when I go back again. So, I’ll admit it. When I saw the name and realized it was a wine brand I had heard of…I had mixed feelings. I had seen some of their wines on the shelves of Meijer, but had yet to try them, as most of what I could find were house table wines. However, the minute I stepped inside I was impressed. Their tasting bar was PACKED. We wanted 20 minutes just to get a turn to sample some of the wines. The staff was extremely amazing, given the number of people there. They were attentive, informative and just had such a great nature that it made the wait worth it and the experience memorable. I’ve been trying to broaden my wine horizons by moving away from the overly sweet wines, so after sampling one of their Rieslings I tried out their Blanc de noir, one of the dry sparkling wines that they offer. AMAZING, definitely made it to my list of wines to buy from them in the future. If I didn’t mention before that they also have spirits you can sample, than it’s worth letting you know they have a VODKA and GIN that is too die for. Normally I’m not a gin drinker, but I couldn’t resist giving it a try when boasting an enticing mixture of lemon, juniper and herbs. And while it was surprising good, their vodka was hands down one of the best things I sampled all day. It was so incredibly smooth to drink, for being a “vodka drinker” who doesn’t like drinking straight vodka, I would definitely go back for seconds. Lemon Creek Winery had by far my favorite wines of the day and is one I can’t wait to introduce other people to. With all the snow, we were running a little behind and were able to make it in time before they closed to still do a sampling, but I cannot wait to check out their winery in the spring and enjoy a more leisure visit and check out their Farm Market. Their market is one of southwest Michigan’s largest fruit farms, and this family run farm has been business for OVER 150 years!! The Lemon family established Lemon Creek Winery in 1984, and have been creating a diverse and amazing variety of wines year after year ever since then. I got more adventurous with my dry wines here, sampling their 2016 Chardonnay, 2016 Sauvignon Blanc, 2014 Riesling (which has medaled in 5 different wine competitions! ), 2013 Snow Moon Ice Wine (ßthis was AMAZING) and nabbing a bottle to go of their 2013 Malbec. Located in Sawyer, MI if you are looking for the full brewery experience this is the place to go! Their tap room has a full dinner menu and on this particular night 1 hour wait to boot. 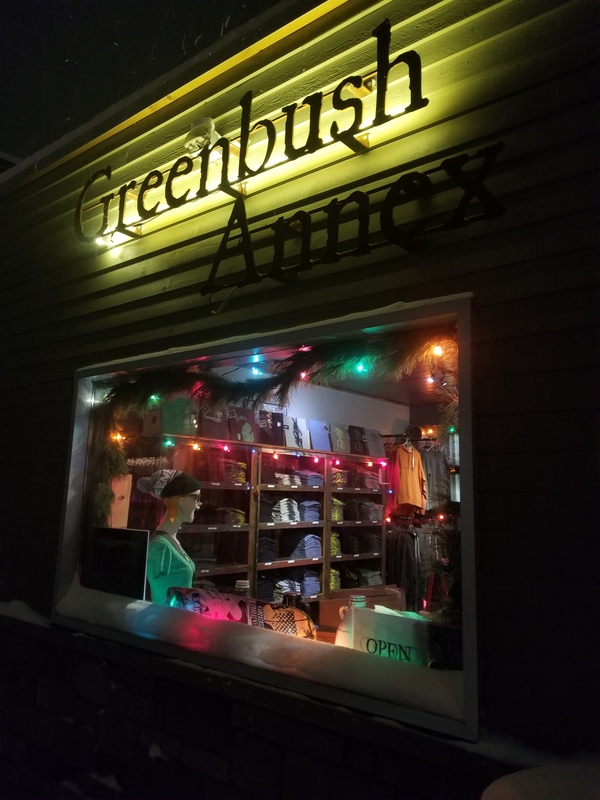 However, the wait is easy to endure when you can just hop across the street to the Greenbush Annex and enjoy some of their beers over there during the wait. The Annex had about 8-10 different beers to choice from, and if you are a BIG IPA fan, this was the place for you. With some seating inside (and a huge amount of seating outside for warming weather), the annex was filled with growlers, howlers and bottles to go that you could purchase. I nabbed a growler of their Brother’s Benjamin and a Howler of their Trucker Trussel (it’s made with warheads!) to take home and enjoy. Once we were inside the tap room for dinner, the first thing that you noticed, that you absolutely cannot miss is the floor to ceiling, wall to wall full of glass mugs. I couldn’t even begin to count as there are hundreds and hundreds of mugs. Upon closer inspection, a lot of the mugs had a little slip of paper in them. Did a little asking around, and find out that all of the mugs that have a slip of paper belong to a customer. 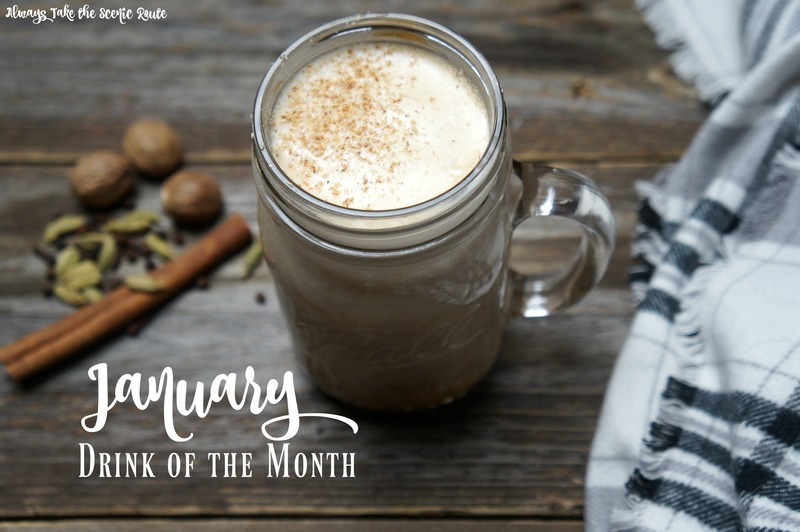 They are members of the mug club, and they leave their mug there to double as décor until they stop in again to put it to good use…and by good use, I of course mean drink out of it! The food there was delicious and hearty, perfect for colder weather and well worth the wait. 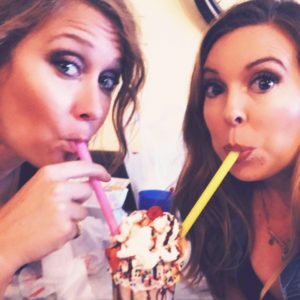 So whether you are traipsing through Michigan on a cold January day or looking for things to do to stretch out a long weekend trip, here were a few must stop places to go if your visiting our Southern neighbor. 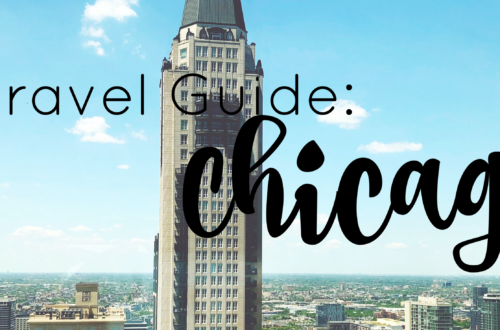 If you have someplace you’ve visited in the area, drop us a line and let us know!